“Charmed” the TV show, full of Charmed Spells, magickal storyline and an amazing cast, enjoyed a stellar run on television screens all over the world for just under 8 years from 1998 til 2006. “Charmed” chronicled the magical story of four sisters Prue, Piper, Phoebe and Paige Halliwell although Paige entered the story only after Prue was “killed off” in the season 3 finale. Although the rest of their fictional community were unaware, these four sisters were actually the most recent line of the most powerful witches in history. Known however in the supernatural community as “The Charmed Ones”, their purpose and destiny was to protect the innocent from evil. It’s hard being a witch! Their main magickal resource which actually played quite a large part of the show was their family Book of Shadows – a magickal journal referencing and containing all their charmed spells, rituals and other similarly themed materials. The wonderful blend of characters, amazing and creative writing and involving story lines is what really made this show work and spin offs of merchandise, other shows and cult fan followings is testament to this screen magic! To answer question 2, most magic spells of substance are more than just a few lines which of course especially due to television constraints, the charmed spells are not. However, for your delight, here are just some of the spells from Charmed as they were spoken in the TV series. Some are very short while others have at least a paragraph. Take them as you see fit and enjoy them for what you will! Safety’s gone and evils roam. Save sisters three, now hear our call. The secrets we hid in the night. The great work of magic is sought. I call upon the ancient powers. Here’s more Charmed Spells from the girls! enchanted are our newfound eyes. switch the bodies through the air. These are just a few of the many, many Charmed spells that were in the show. 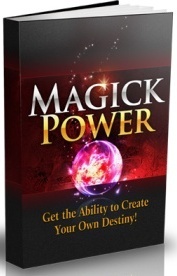 Now you are inspired to cast your own spells, click the banner below and get your hands on some of the best magic spells that work that you will find anywhere or to really gain an understanding of the secrets of Wicca and Witchcraft, take a look at Magick Power!